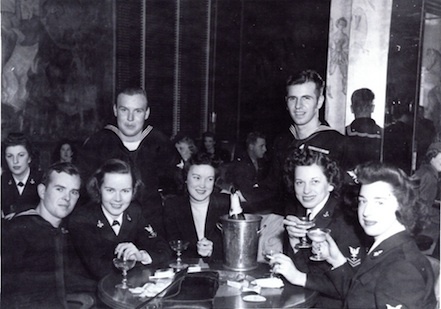 Mary Marovich Ryan, the mother of Homefront Heroines: The WAVES of World War II director Kathleen Ryan, at the Fairmont Hotel in San Francisco with a group of friends. She’s the 2nd from the right. Happy Mother’s Day to all the moms out there – you’re all homefront heroines!